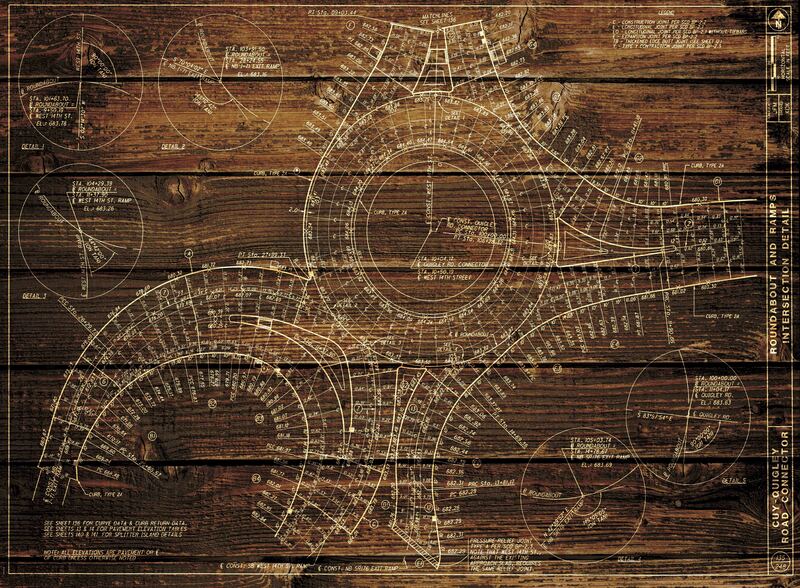 Why Engineering is an Art…or is it? 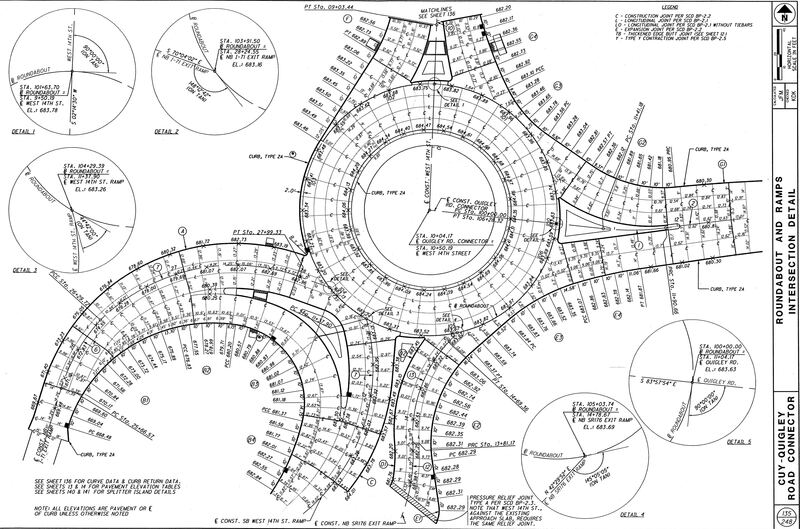 Not too long after graduation from the University of Akron, I was given the task of creating an intersection detail plan sheet for a complex roundabout. The Quigley Road Roundabout, as it is commonly called now, is in the Tremont area of Cleveland and was the first multilane roundabout in the state of Ohio. There wasn’t a great deal of experience in the area with these new, fandangled, traffic-circle-like thingys back in those days (Look kid’s, it’s Big Ben! https://youtu.be/iAgX6qlJEMc ) – and especially not ones made of concrete. I was very proud of my effort. Did he have a point? Was it truly a work of art? 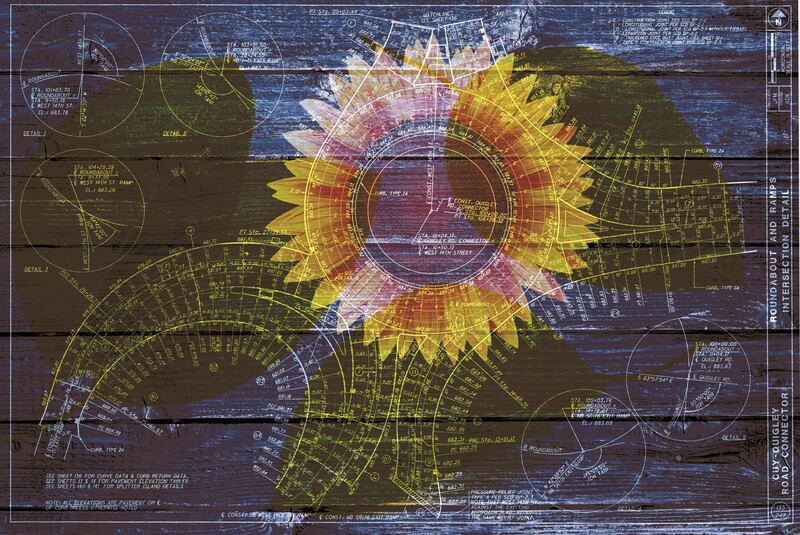 We try to surround ourselves with objects and spaces that are gratifying to us. From the colors we choose to wear to the destinations we choose for vacations, we want the things around us to generally “be nice.” So why not our infrastructure? Infrastructure is everywhere around us. It’s so prevalent, it’s no longer there and we barely notice it. In those moments when we do notice, it’s because it has either failed us or it’s under construction (again). I’m sure we can all agree orange barrels are not art (I did witness a college student’s apartment that seemed to disagree, but that’s a different blog entirely). We all understand that spending taxpayer dollars on several frivolous, aesthetic treatments isn’t the best idea. Many of the things we design as civil engineers are for the civic good after all (I mean, that is why we’re called Civil Engineers, right?). It’s difficult to sell artistic, more expensive ideas when a much less expensive utilitarian thing will serve the purpose (and serve it well, I might add). So what then do we do? The answer is really quite simple – we do what we can, when we can. When a project needs to make a statement, like a region-defining signature bridge, aesthetic treatments are usually at the top of the list of the client’s must-haves. 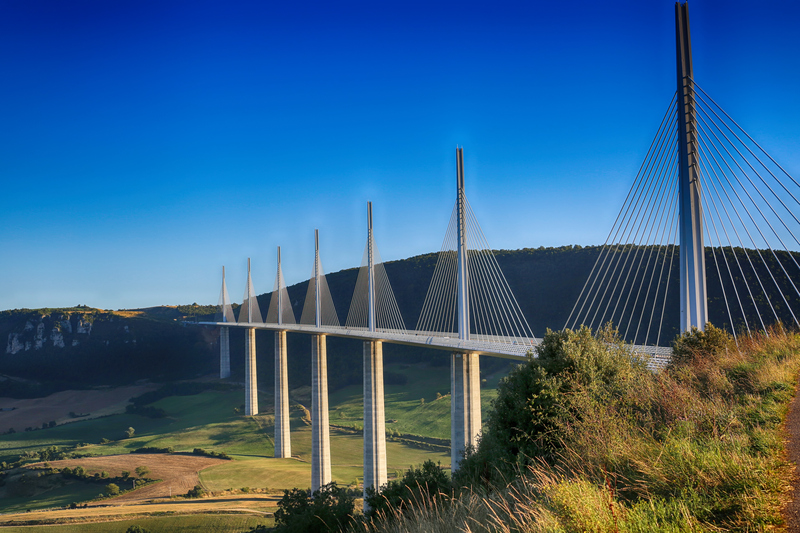 Projects like the Millau Viaduct in France make that statement emphatically for its owners. I’m sure there are folks out there in cyberspace that don’t believe a bridge like this should be considered art. It should at least be considered “aesthetically pleasing.” I tend to define art as a material object that elicits an internal emotion and this particular bridge undeniably elicits an emotion from me – sheer awe. That pure emotion makes it art to me. The nearly unbelievable scale, the seemingly delicate but incredibly strong structural elements, the mathematical rhythm of the cable stays and towers, the considerable amount of collaboration it took to construct it and so on. It’s beautiful to me in so many different ways. When aesthetic treatments aren’t on the must-have list at all, they should not be forgotten. Think of a simple, two-lane road in your particular city of choice. Do you consider it art? Probably not. Does it elicit an emotion? Yes, but probably not a good one. If the budget was too tight for ornate light poles, contrasting brick pavers in the crosswalks, or complementary landscaping to include commissioned wrought iron bike racks, how can it become art, or at least be aesthetically pleasing? Applying a few principles of good design can make all the difference. If you don’t have them memorized by heart, or haven’t read about them elsewhere in Environmental Design Group’s previous blogs (do so, they’re really good blogs! ), this is a partial list of what is generally accepted to be principles of good design: balance, movement, pattern, repetition, proportion, rhythm and unity. Picking two or three of these principles and applying them to infrastructure projects creates an easy way to make that unartistic two-lane road more appealing to its user – even if it’s done subconsciously. Some of these principles are upheld automatically. For example, lane width does not vary all over the place. Could you imagine driving and the width between stripes changing randomly between 9 and 12 feet, back and forth in no discernable pattern? If you’re like me, it’d drive you bonkers (Get it? Drive you…? Insert eye roll here). Since lane width is generally a constant, you’ve already integrated some design principles with no additional effort. Perhaps, in this case, aspects of balance, proportion and unity have been addressed. Many design elements are still left up to you, however. The number, spacing and types of trees in the tree lawn all make a difference. The spacing of catch basins along the curb line, or the strategic placement and replacement of traffic signage. Think about these types of items as opportunities to create a cohesive – and dare I say it, pleasing (gasp)-roadway treatment without burdening taxpayers and still pleasing our clients by aiming for safe, yet aesthetically pleasing, roadways. Now that you’ve put the basic elements of a streetscape in place, is there room in the project budget for more than the standard stuff? That’s where a landscape architect (insert selfless company promotion here) can help with inexpensive roadside treatments that serve your intended purpose but may also add aesthetic value to the project, and who knows, may help with stormwater management issues in the process, too. Landscape architects tend to look at projects like this a little differently. Is there a way to unify the project with aesthetics without breaking the budget? Do some research. Do a site visit or two and, most importantly, keep the channels of communication fluid. Site visits almost always bring new ideas and directions to enhance the design by expanding the view of a project scope to be more than a mere checklist of must-haves. The collaborative effort between engineer and landscape architect can make all the difference.